Like many folks, I’ve been reflecting on this past year. 2012 was full of ups and downs–mostly ups, because I have that frame of mind. 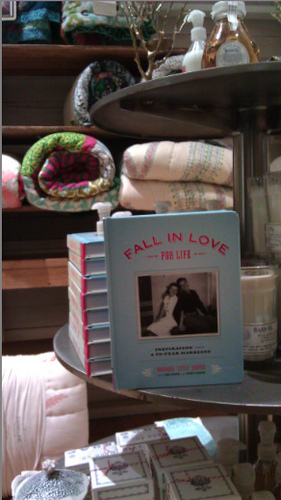 But I have to say that the highlight of the year was seeing my book on sale at Anthropologie a few days ago. For this little old 95-year-old gal, it was absolutely thrilling! Here’s to 2013, and to all the adventures that are just around the corner. I hope every one of you will see your dreams come true in the coming year.